Vancouver artist Suzy Birstein is proud to have been teaching ceramics, mixed media sculpture & Drawing and Painting at Arts Umbrella since 1990! Suzy is known for her colourful ceramic pottery, figurative sculptures and paintings, which have been exhibited, collected, televised and published in Canada, the United States, Japan, Europe, Hong Kong and Australia. In addition, Suzy’s work has been specially commissioned by some of Vancouver’s leading restaurants, included in the 2008 Academy Award swag bags & 2014 Tap Grace Awards! 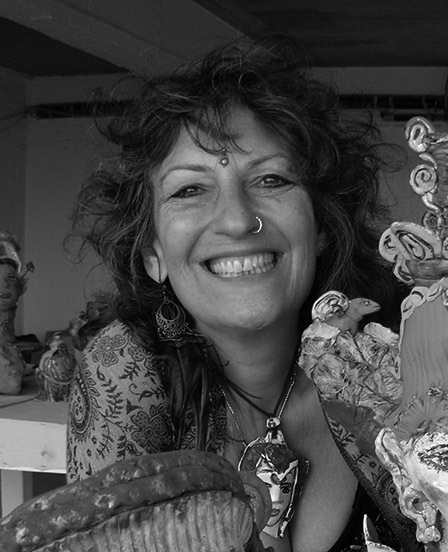 Her biannual "Mia Muse" ceramic workshops in Greece for adults are a huge inspiration and "must do". Suzy is represented by Jonathon Bancroft-Snell Gallery, London Ontario and from her studio in Kitsilano.